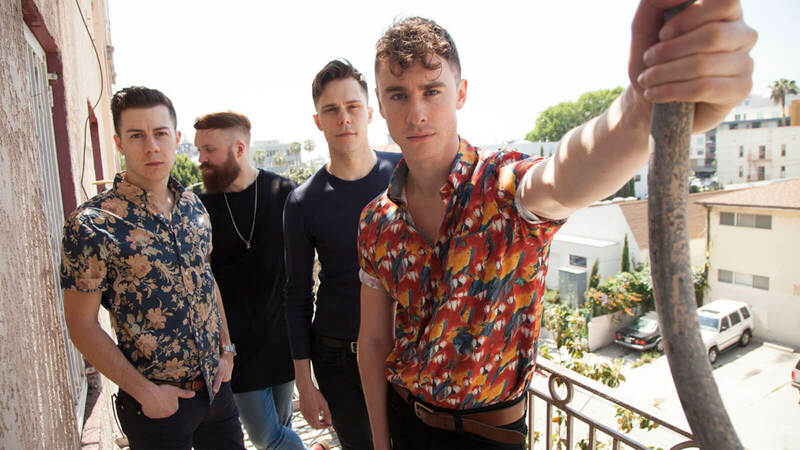 Don Broco Releases Brand New Video And Game For Technology - GENRE IS DEAD! Do you still remember the cowboy-dance from Don Broco’s video for ‘Everyone’? Good! Time to put it to use again! “Time to put your phones down and look around you, cause you might not even notice an alien invasion” is the new message Don Broco sends out with their brand new video for the song ‘Technology’. Watch an alien attack happen, OR NOT, in the cleverly thought out video of the English four piece band. You can also keep staring at the phone on screen and miss all the fun that’s happening in the background of the video. Not only do we get to enjoy the new video, there’s also a game coming along with it! ‘Technology – the video game’ will grace our screens soon, coming to their website as well as the IOS and Android App stores. You will be able to play as one of the band members, where you have to escape from the Alexandria Palace while an actual alien invasion is happening in London! It all sounds very exciting! If you want to watch the video and dance along, here it is! ← What Is Enter Shikari Up To?